What do you get if you mix jaw-dropping art, a magical world, and simple yet hard to master rules together in one portion. 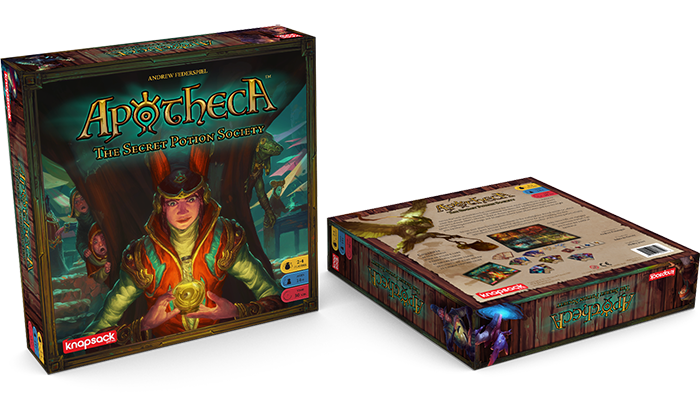 You get Apotheca: The Secret Potion Society. Apotheca is a game about 3 different kind of potions (blue, yellow and red) and about being the first to get 3 of the same color in a row 3 times. Despite a lot of 3’s it sounds pretty simple right? But it’s not that easy (would have been a pretty boring game if it was). Moving the potions around is done by “apothecary” cards, that each have their own special rule for moving the potions. Some will make them jump around in “L-shaped” patterns, others will make them switch places with other adjacent potions and so on. This in itself would have made a pretty good game, but add to the a brilliant hidden information system where you know the color of the potions you placed, but your opponents don’t. Now you might think this is a memory game, but I’m very thankful that it isn’t. The back side of each potion has an arrow that points to the original person who placed it, and they are always allowed to look at it again. This is one of the games I was hooked on from the first second, the stunning art got my attention but after reading more about it, I could not leave it alone. It has simple clean rules and will be a blast to play. It’s like solving an ever evolving puzzle while trying to out-smart and out-bluff your opponents. For lack of a better word, I think this game is brilliant. 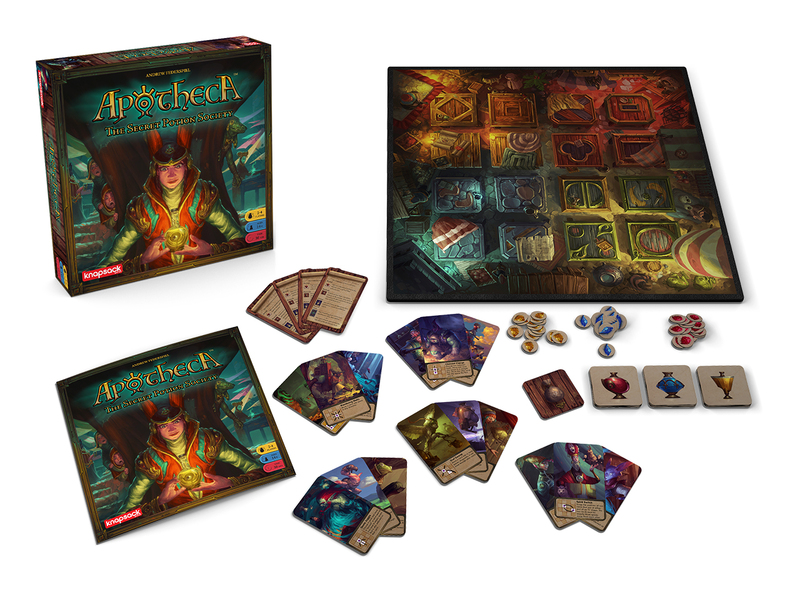 Apotheca is currently on Kickstarter until the 9th of July and will cost you a mere 35$.